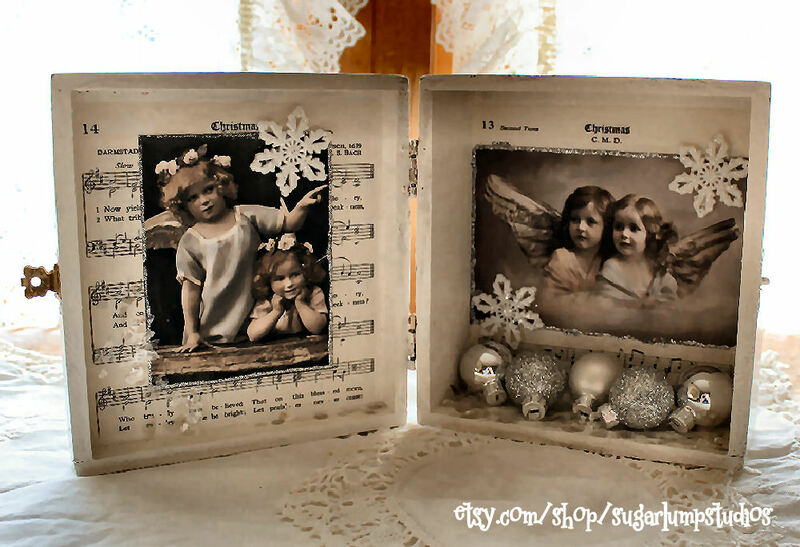 Every year I try to make a few altered Christmas boxes for my shoppe. 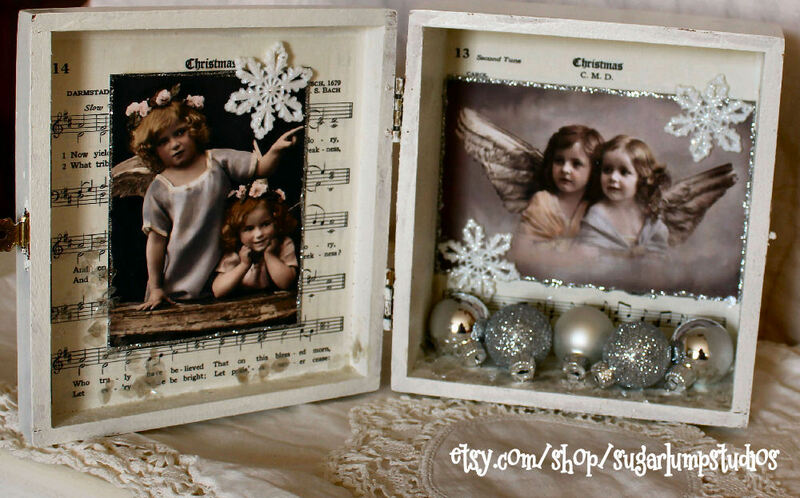 I wanted to share my “Angels Among Us” box that I will be listing. 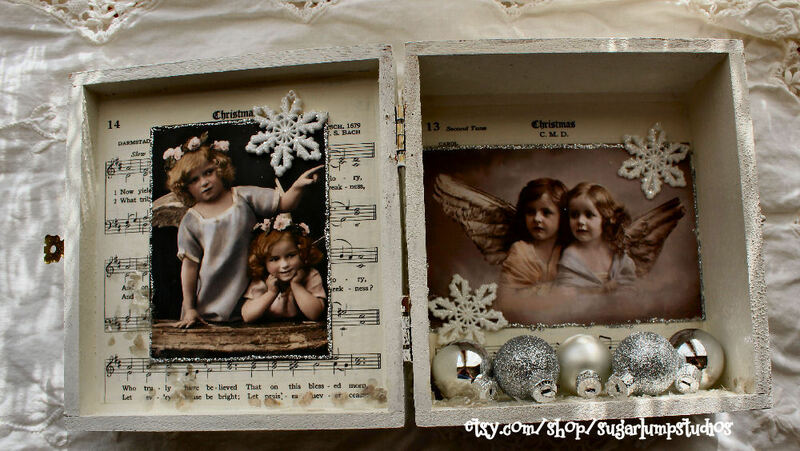 They take me a bit longer now, but I still love making altered boxes. 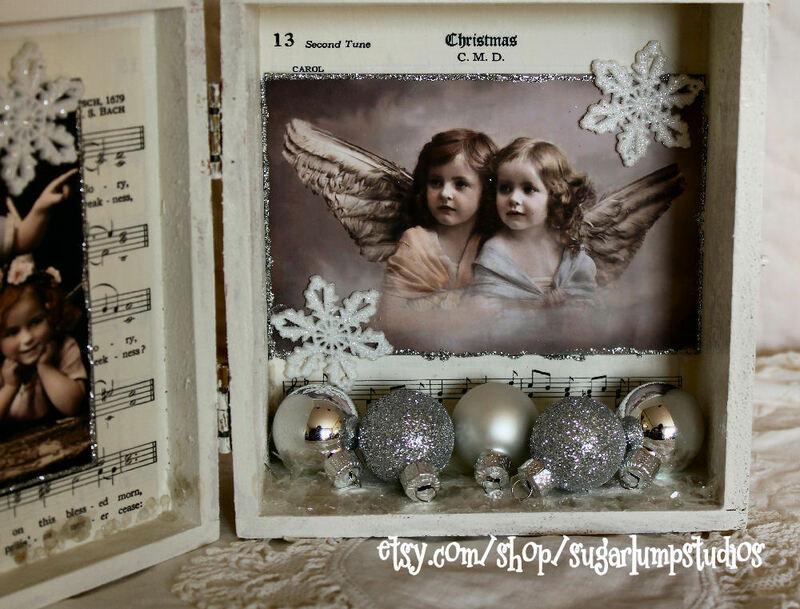 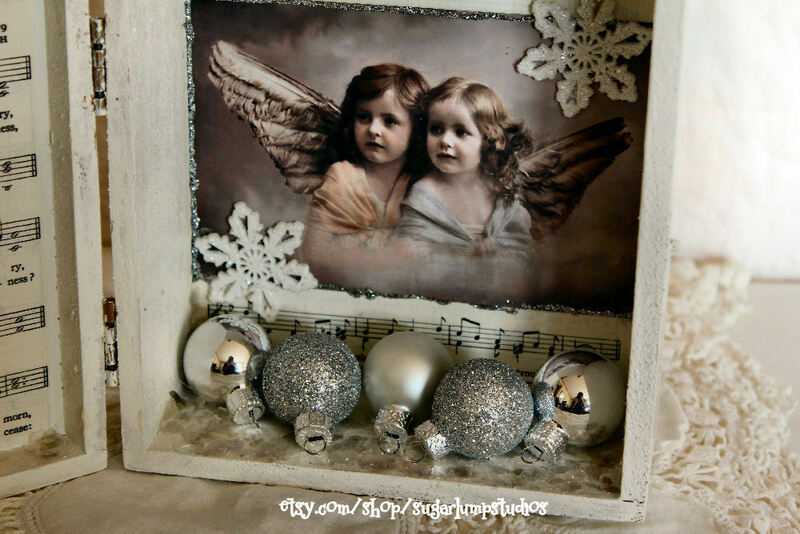 I used a cigar box which was painted, angel images, silver ornaments, mica chips, stickles and lots of matte gel.